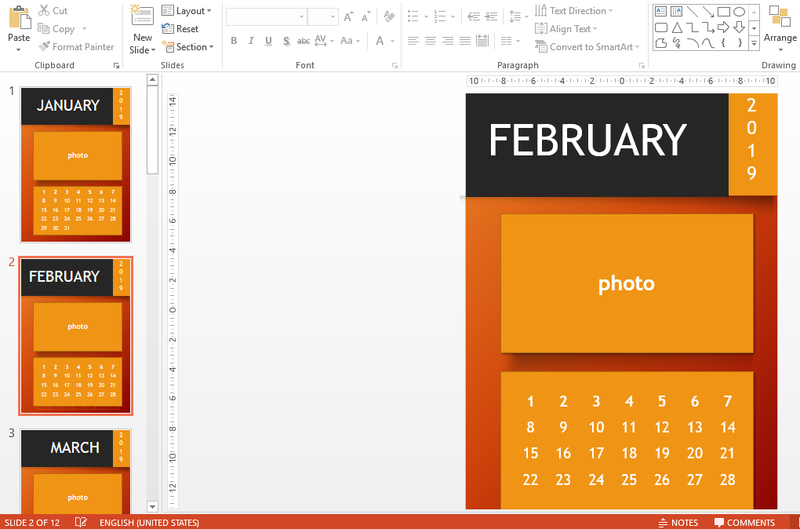 Customizing your own calendar template is not difficult anymore. It can be further edited via your own pc after you downloaded it. You can play with all the features, colors, text, etc. Besides this calenders, there are also other calendars in our collection, you'll find a variety of monthly or yearly calendar templates that are ready for a free download and after some customization, ready to use in your home, office or school. Download your free printable 2019 PowerPoint Calendar template now!